Northern Ireland international Steven Davis. Pic by Pacemaker. 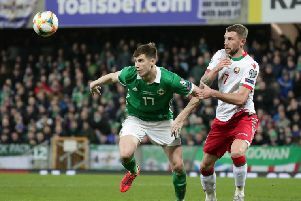 That was in spite of some encouraging performances which saw Northern Ireland completely outplay Bosnia and Herzegovina in the opener only to be punished by clinical finishing, and hold their own away from home against Austria.